impact – …yours truly, Andiispice. In the midst of all the challenges the Nigerian youths face, some people are rising above it all and fighting to make a positive impact in the society and in the lives of people, setting trends and breaking boundaries in different areas of industry. It’s definitely not a smooth and easy ride, but with determination, passion and tenacity, these people inspire their generation to be the best in their various fields. This is going to be the first in a series of articles titled “The Nigeria I see”. I chose the title because I noticed that a lot of young people only see failure, defeat, corruption and a difficult life in Nigeria. I chose to see in Nigeria, the people who take the bull by the horn and create a positive impact in their capacities and with the passions and talents with which they have been blessed. I want to showcase these youths to the rest of the world, and hope that as they tell their stories, challenges and successes, other youths will be inspired to look deep within themselves and create beauty out of the situation that is Nigeria. So, join me on this journey as we celebrate the Nigerians who make us proud to be who we are: good people, great nation. She’s trendy, vivacious, and hands-down bee-yoo-tee-full. No, she’s not a model, though I bet she’d give models a run for their money if she ever walked the runway. She’s a passionate lover of the environment and everything green. A product of a Yoruba/Bini marriage, with an upbringing in the heart of Port Harcourt, this 21-year old damsel is not just all beauty and no brains. 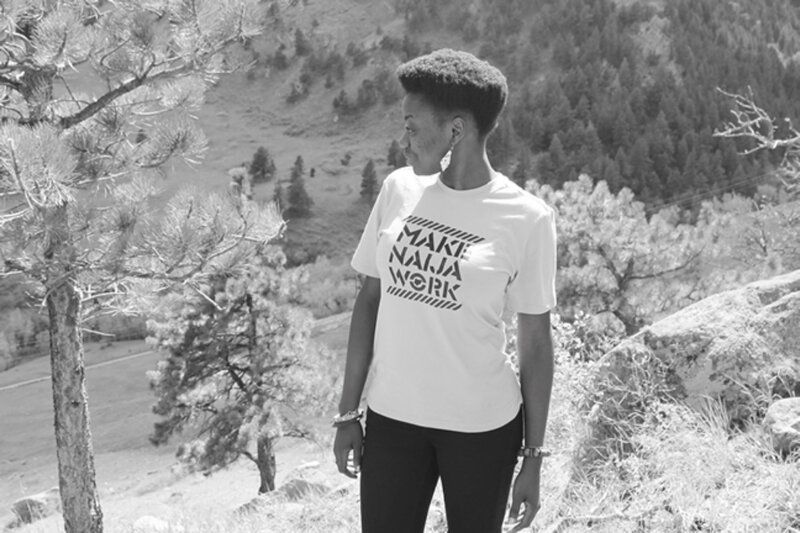 Her double major in Environmental Studies and Geography from the University of Colorado-Boulder,USA, attests to the fact that she’s sure got brains. 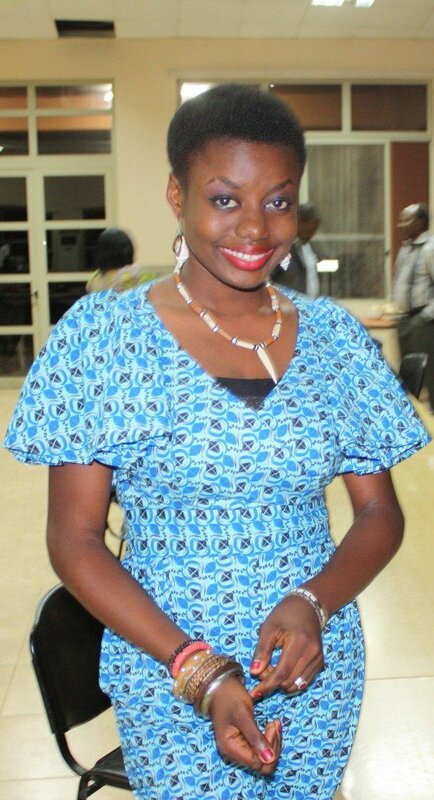 Oluwafunmilayo Oyatogun is the CEO, Bailiff Africa, which, simply put, is “The voice of green in Africa”. 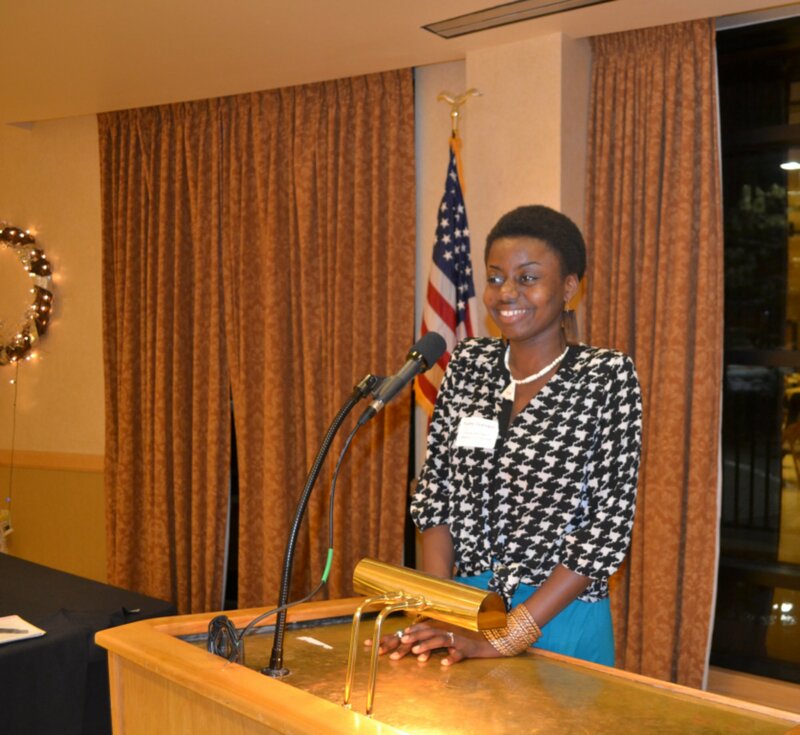 In this article Ms. Oyatogun talks about her passion for the environment, the reasons she started Bailiff Africa, the challenges she’s faced, and her plans for Bailiff Africa in the future. 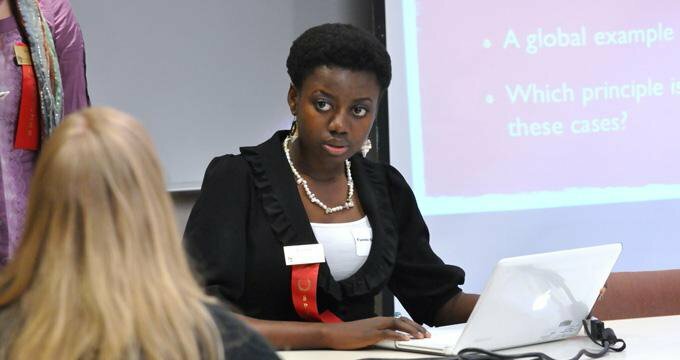 What made you start Bailiff Africa, when and how did you start? I started Bailiff Africa out of a vision to see Nigeria and all of Africa prosper sustainably. 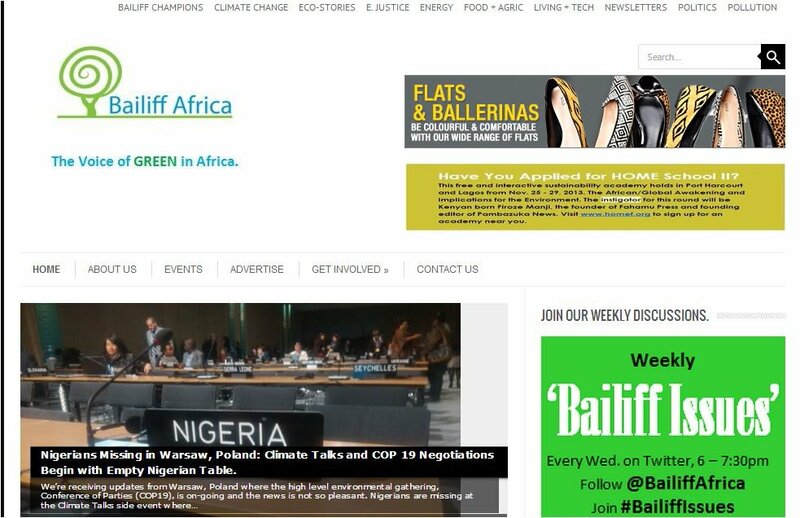 In September 2012, right before I graduated from the University, I launched the BailiffAfrica.Org website. I wanted a hub that will provide education on a comprehensive range of environmental issues and initiatives in a youth-friendly manner. So, I had in mind a lot of colorful articles, artworks, documentaries, photo-stories and the like – the very things that can engage young people as they learn about the environment. The concept of Bailiff Africa is a junction of technology, creativity and environmental content so that we can tap into the heavy presence of Nigerians and Africans online and make some change with it. I had planned to launch my idea for so long but didn’t get around to it until I saw my last days of university ahead of me and yearned for the next step. I began at a very young age to develop interest in environmental education. I have been eagerly writing about the environment since I was in JSS2; thanks to the active Environmental Conservation Club in my secondary school. This passion was what I converted to a degree, or two degrees really, and then into a career. What were your challenges, and how did you get to surmount them? The challenges are similar for anyone who starts up a social enterprise in Nigeria. We cannot rely on the state to provide utilities for us to run our activities and that’s unfortunate because we have to expend so many resources in order to ensure that our activities can run. Then, of course, we have to deal with the hurdles of sourcing for GREEN information that can fit into our content template. We pride ourselves on the creativity and authenticity of our articles so we are constantly searching for the best of the best and that can be a little challenging in an environment where many people can become comfortable with producing mediocrity. We only publish the best; so there are many things we receive that we have to reject or ask the authors to revise. Since we are so heavily planted in the internet space, we have to rise above the sometimes poor internet services available in Nigeria. Another one, which it rather hilarious to me, is the age factor that comes in when you’re young and doing something very well and maturely. People are pleased with what we’re doing until they find out my age and how young our team is, and they become conditioned to disregard us or put us off as just another bunch of exuberant youngsters. Such people are always disappointed; every single time, and so while it can be frustrating to see people want to diminish you for your age, it can be empowering to. There are several challenges, both professional and personal, but it wouldn’t be a worthy venture if there weren’t this many. We wouldn’t be worthy people if we didn’t surmount them. What is it like for you running Bailiff Africa, how is it structured? No day at Bailiff Africa is typical. We have guidelines that we work by and general routines but even those have a new dimension to them each day. Every morning, all the articles that have gone through our editing process get published and are streamed directly to our social media outlets. On Wednesdays, we have our Bailiff Issues forum on Twitter (#bailiffissues) which features a news environmental project or person or policy every week. Everyday, there are articles to edit and publish, news to source, projects to collaborate on, forums to host and workshops to plan…it is a lot of work but a lot of fun too. What are your present projects, and any future plans for Bailiff Africa and its impact in Nigeria and Africa as a whole. Currently, we are working on a workshop for early next year which we will publish information about soon. Our regular columns on the website continue and our free weekly newsletters (The Green Spiral) also continue. We are also working on a hub that will match mentors, donors or sponsors with brilliant young people with bright GREEN ideas. It will be a busy year in 2014. We are the voice of GREEN in Africa and until we fulfill this mandate each day, we don’t close shop. Our hopes for Nigeria and Africa abound: we want to see green ideas become green projects and then green organizations. We want to merge innovation with the potential of young people in Nigeria to influence policy towards a direction that is profitable and sustainable. We care about the environment, we care about the people in the environment. So our focus is to ensure that Nigerians become thoroughly environmentally conscious at both citizen and policy levels. What do you have to say to the Nigerian youth, as regards his/her future and his/her impact on the future of this nation? You really are the hope of tomorrow, and more important to Nigeria than anyone else because the generations before have disappointed us. Which means that you cannot afford to waste time. Your ideas are the milk that will nourish this country and we’re counting on those nutrients.